I love coming to Pappy Rube's farm. *whispering* Look at her out there trying to seduce my guy! But I just don't know why some here take to me & some don't! Wow! Gotta love the set of udders on that one, alright! 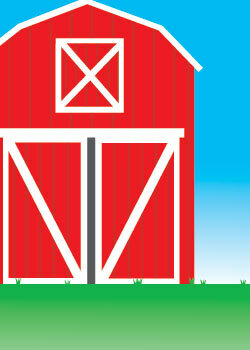 Wonder why that cow in the barn is bellowing so?